Thick Braid Headband by Christie Brinkley is a thick braided headband that dresses? up or down your look in an instant. It makes ?the ultimate statement with a minimum investment. Match your shade or choose a contrasting tone. You can also wear it with a thinner Christie Brinkley braid. The strong and stretchy elastic band is adjustable fits all. Match your shade or choose a contrasting tone. 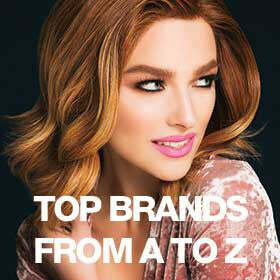 Hair2wear’s special synthetic hair features hand-blended colors for the most natural-looking hair around. A small no-slip strip holds your headband in place, and an adjustable elasticized band ensures a perfect fit.